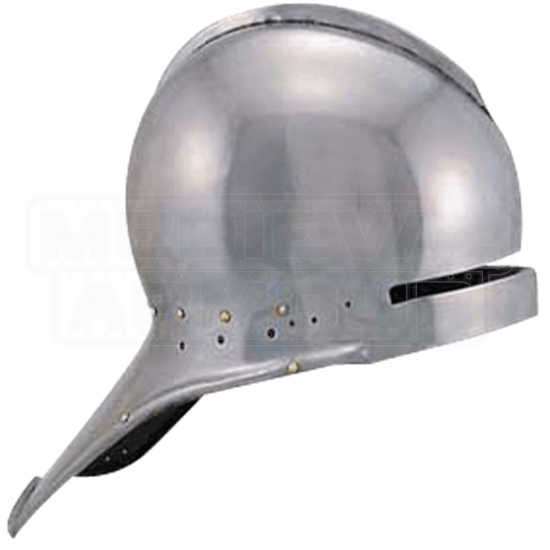 This helm has the popular gothic styling so favored by the German armourers of the late 1400s. Wonderful examples still exist today in museum and castle collections including the Tower of London in England. As many of the original owners of such cherished armour were of noble birth, they could afford the best in style and craftsmanship. You too can now possess a full size wearable museum quality German Sallet Helm skillfully handcrafted of 18 gauge steel for your own heirloom collection.